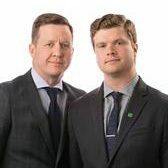 Bennett Stimson Wealth Advisors is a family office located in Lethbridge, Alberta which provides comprehensive wealth management solutions to clients across Western Canada. The team is led by Vice President, Portfolio Manager and Investment Advisor David Bennett, CFA, C.F.P., CIM. David is joined by Investment Advisor Dan Stimson Client Relationship Associate Jodi Poulsen and Client Service Associate Lori Wojtowicz. With over 70 years of combined industry experience, Bennett Stimson Wealth Advisors has expertise in high net worth planning and portfolio management for families, business professionals, farmers, colonies, and foundations. This comprehensive approach enables Bennett Stimson Wealth Advisors to help facilitate legendary customer experience and to endeavor to exceed expectations as they develop deep relationships with the high valued clients they work with. Please feel free to give David, Dan, Jodi or Lori a call to learn more about how Bennett Stimson Wealth Advisors can play a role in your wealth journey. 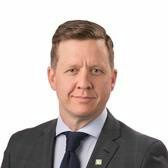 David Bennett has been with TD Wealth for over 15 years all of which have been dedicated to working in private wealth management with some of TDs top clients. He offers a rare combination of youth, experience and education not often seen in the industry. David has recently partnered with Investment Advisor Dan Stimson to form Bennett Stimson Wealth Advisors. David graduated from the University of Winnipeg with a Bachelor of Arts (Econ). David believes advisors owe their clients the commitment of continuous education to keep pace with a dynamic investment landscape. Over the years he has earned the right to use the Chartered Financial Analyst (CFA) designation, which is the leading global wealth management certification and considered the most rigorous and extensive qualification in the industry. He has also earned the designations of Chartered Financial Planner (CFP), Chartered Investment Manager (CIM) and Financial Management Advisor (FMA) as well as many other industry qualifications. 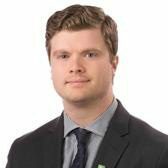 As senior advisor of Bennett Stimson Wealth Advisors, David specializes in working with high net worth Canadians to build customized, long-term and sustainable plans designed to drive key investor goals such as growth, income, inflation protection and preservation, while balancing risk and return. David is proudly married to Sherri who works as a nurse with the Canadian Mental Health Association. They are very passionate about many causes, including their involvement in the Bridges of Hope Golf Classic as organizer/donors, mental health awareness and no-kill animal shelters, including the adoption of their two furry sons – Jake and Marv. Please feel free to give David a call to learn more about how Bennett Stimson Wealth Advisors can play a role in your wealth plan.